Every year, we provide executive compensation consulting services to hundreds of clients, including approximately 15% of the S&P 500 and S&P 1500. We have nearly 60 professionals, including 22 partners, located in 13 U.S. offices as well as partners in Korea and Japan. Pay Governance is highly adept at pooling the experiences of our team for the benefit of each client. Most of our team has worked together for many years, which provides a collaborative environment resulting in the best experience and wisdom for our clients. Pay Governance's national team includes expertise in accounting, tax and equity/LTI valuation and supplemental retirement plans, as well as ISS/proxy advisor modeling and policies. We are completely independent and not an affiliate of any other entity. Unlike some other firms where executive compensation is but one of several offerings, we focus exclusively on executive compensation, incentive plan design and corporate governance matters. We were formed in 2010 to address specifically the executive compensation independence issues facing large public companies. With partners in 13 major cities throughout the United States, offices in Japan and Korea, and a presence in Europe through our partner hkp/// group, we have the broadest geographic breadth among firms focused on executive pay consulting. We offer our clients a distinctive experience that is founded on critical thinking, respect, and care. Our goal is to help companies develop and administer executive compensation programs that support their business and human resources objectives, recognize factors unique to the company and operating environment, and work within the bounds of the current regulatory, legislative, and corporate governance environment. We help our clients design executive pay programs that strongly align to current drivers of value creation in a framework that allows flexibility for changes to the program in the future, as the business evolves and external factors change. We provide thought partnership with our clients. 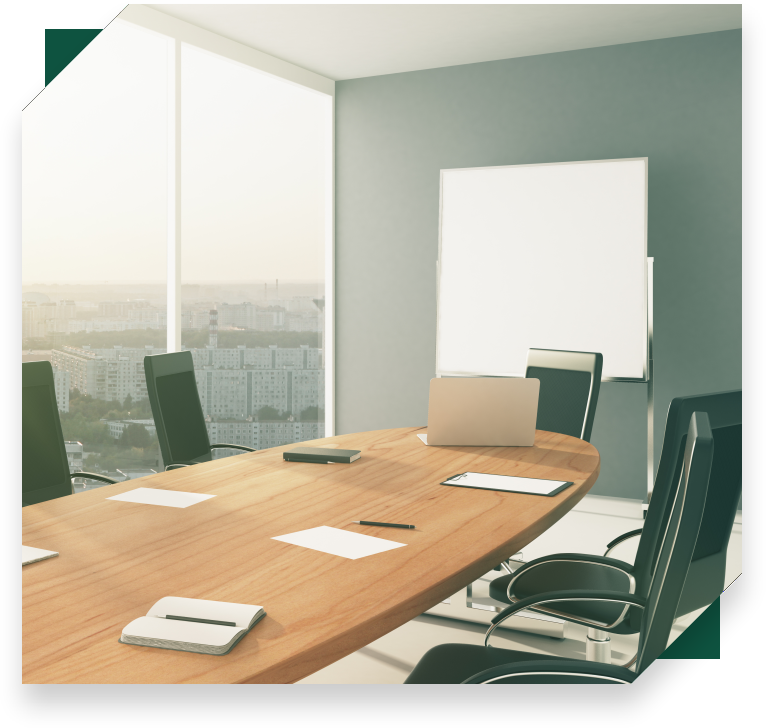 While representing the Compensation Committee, we find that a working relationship with management and knowledge of business conditions and strategies are critical to designing reward programs that attract, retain, and motivate executives to build shareholder value. Our approach reflects our view on the importance of a collaborative and constructive relationship that leverages the perspectives and insights of the Committee, management and Pay Governance. We work with our clients to provide creative, customized solutions to ensure pay supports critical business objectives and is aligned with long-term shareholder value creation while considering the operating and regulatory environment in which the Company operates. We bring original thinking to ensure your rewards program aligns with your mission/vision, strategy, and culture. Pay Governance is the thought leader in the consulting industry. This leadership presents itself regularly in the creation and publishing of observations on best practices, original research and unique consulting tools that help our clients meet their competitive challenges. Our leadership has resulted in being regularly included in the public dialogue and working groups that are influencing governance practices. We develop creative solutions to particular problems and publish research, opinions and alerts (via Viewpoints issued during the year) on executive pay. 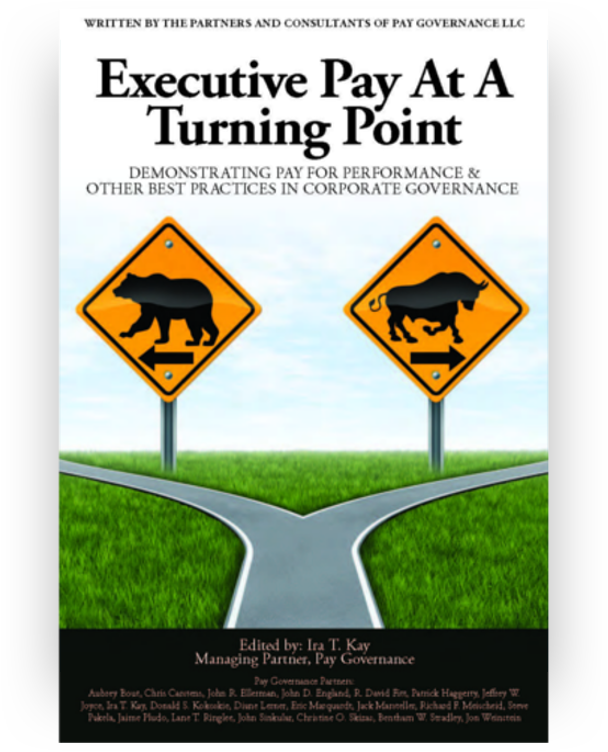 Pay Governance advisors bring wisdom to providing advice in the boardroom. Just as directors offer critical perspectives in their roles, providing learned counsel is the ultimate measure of an advisor serving the board of directors. Our unique ability to add value in this way is only achieved through years of thoughtful practice, debate, research and leadership on the situations facing compensation committees and boards. It requires careful reflection on issues, governance and the appropriate use of data. Importantly, it also requires a willingness to challenge conventional thinking, when necessary. This requires open and constructive dialogue; both the board and management should expect direct and candid guidance. We provide a high level of accessibility, responsiveness and timely recommendations through our dedicated client teams comprising senior practitioners working with experienced and cost-effective project teams. We ensure direct and quick response to urgent needs in the current highly complex Say on Pay environment. We believe this model provides significant value to our clients through multiple levels of peer review to ensure quality and objectivity and experienced collaboration on all significant matters. How impactful are ISS Qualitative Factors on Say on Pay recommendations? What is the “sharing rate” of CEO realizable pay as a percentage of market valuation enhancement? What measure of “pay” has the best relationship to shareholder value creation? How rigorous are company goals in long-term incentive performance share unit plans? 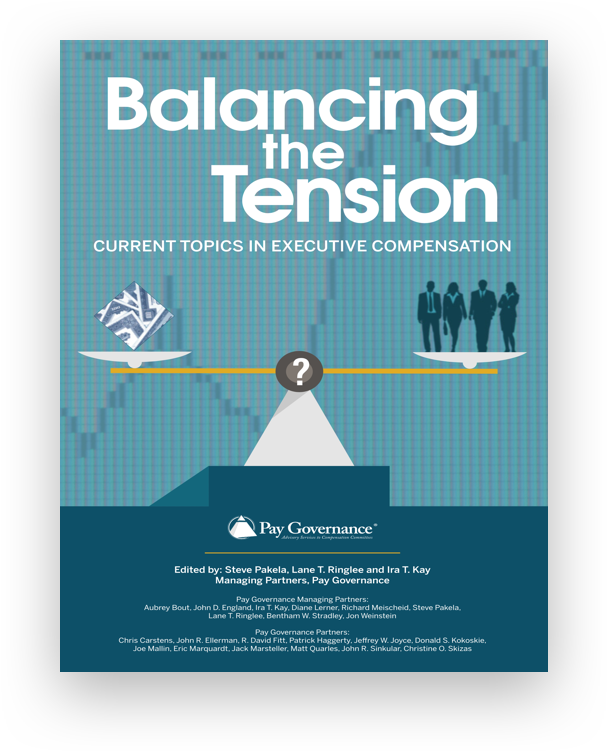 Pay Governance has published two comprehensive books on executive pay, including our most recent book, “Balancing The Tension”.